Excellent Swami! 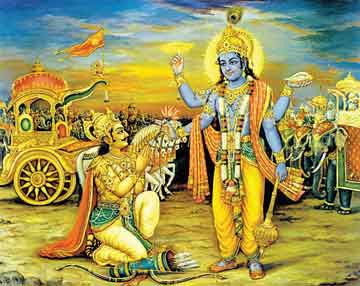 If we can make a small video / animation out of Thiruvaradhanam, with each Asanam it would add lot of value to people. We have requested sri u.ve. dheivanAyakam swamy for that and he is willing to do that. But we have not managed to find the time and some one who can record and edit it for us. Let us see if we can do it soon. 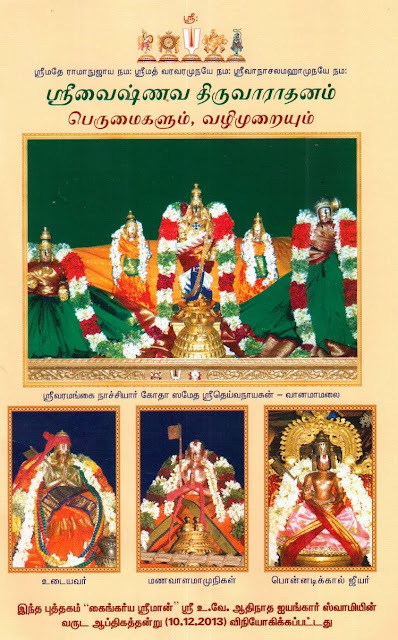 adiyen read all procedures for thiruvaradhanam ,and understood ,t was told that lagu thiruvarahdnam ,people who are going to office can perform ,as told one of our devotees a small video will be useful to all devotees, explanation is very simple can be easily understood. we were suppose to do a video long ago but were unable to coordinate so far. - all this will probably take less than 30 minutes. Also, please add srIpAdha thIrtham routine if possible. This is one of the most important aspects. generally, during anadhyana kAlam, we dont recite AzhwAr pAsurams. 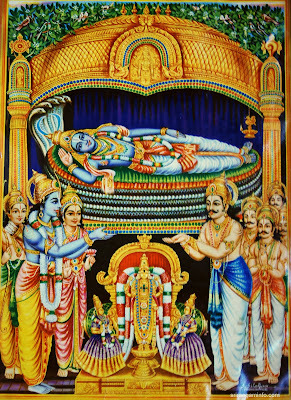 During opening the kOil AzhwAr, we recite jitanthE sthOthram (first 2 slOkams), kausalyA suprajA rAma slOkam, kUrmAdhIn slOkam (these are recited normally as well) and directly open the door. again, there is no limit to remembering/meditating on AzhwAr pAsurams in heart/mind while opening the door. Similarly, during thirmanjanam, after reciting sUkthams, we recite veNNai aLaintha kuNungum padhigam and a few extra pAsurams - during anadhyayana kAlam, we just stop with sUkthams. For sARRumuRai, we recite upadhEsa rathina mAlai and thiruvAimozhi nURRanthAdhi pAsurams instead of "chiRRam chirukAlE" and "pallANdu pallANdu" pAsuram followed by "sarva dhEsa sadhA kAlE..." routine and vAzhi thirunAmams. Very well drafted & thanks for sharing. The emphazing point is "having emperumAn at home and not performing thiruvArAdhanam is like inviting some one to our house and turning away". Thank you for the details of Laghu Aradhanam. 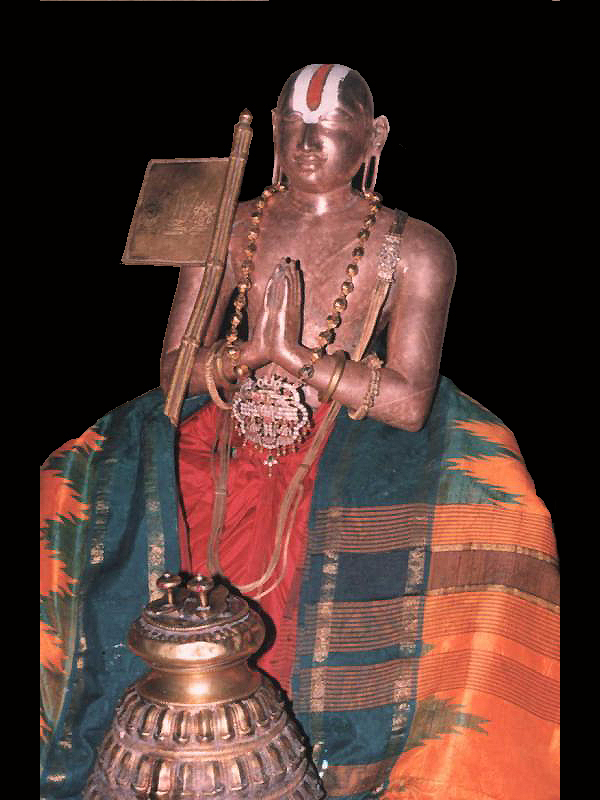 It is important for all prapannars to engage in thiruvAradhanam, even on a small scale. Personally, it has become a way to relax and focus on what is important in life. will try to get it as soon as possible. 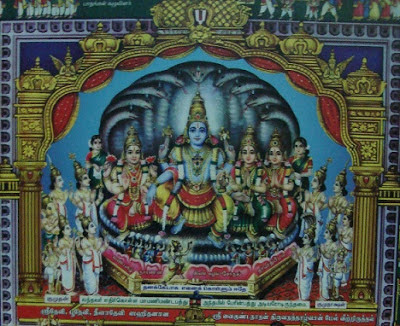 - Dasan, Vishnu Kovil Kandhadai. 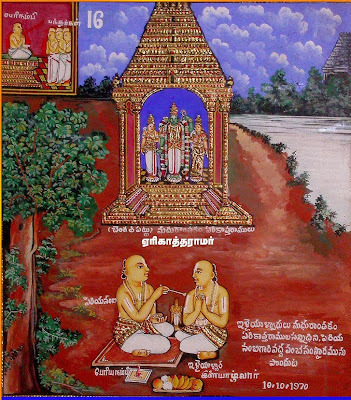 thanks swamy - the same is available at http://ponnadi.blogspot.in/2014/12/srivaishnava-thiruvaradhanam-pramanams.html also. Swamy, Thanks for this wonderful guide. Devarir has mentioned that Thiruvaradhanam needs to be performed thrice a day(as per pUrva/uththara dhinacharyai). 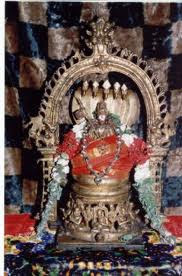 But in the steps Devarir has mentioned that Thiruvaradhanam needs to be done after mAdhyAnhikam - around noon time. Does simple thiruvaradhanam mean laghu thiruvaradhanam(including thirumanjanam). 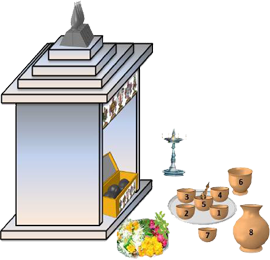 simple thiruvArAdhanam means - lighting the lamp(s), opening the kOyilAzhwAr, offering arghya/pAdhya/Achamanam, offering some fruits (fresh or dry) and reciting few slOkas/pAsurams. 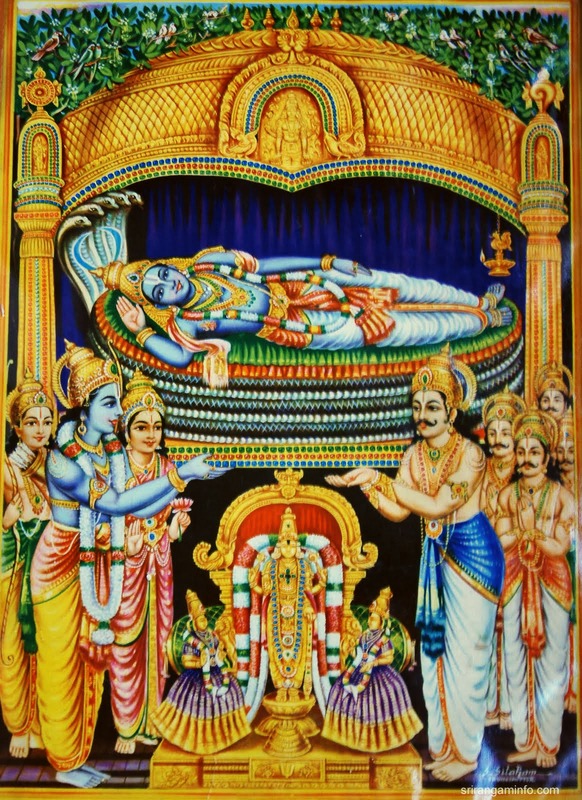 For example, in the morning one may recite suprabAtham and in the evening one may recite vishNu sahasranAmam (evening routine used to be followed in many households even 15 years ago). Swamy, Thanks for the clarification. What is Sevakalam and what is the sevakalam process on daily basis? 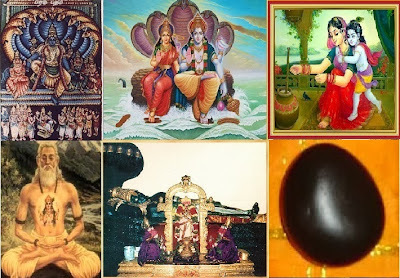 sEvAkAlam means the session where we recite dhivya prabandham or other pUrvAchArya sthOthrams. On a daily basis, we should recite at least what is known as "nithyAnusandhAnam" (daily recital) - this includes thiruppallANdu, kaNNinuN chiRuth thAmbu, thiruppaLLiyezhuchchi, thiruppAvai, amalanAdhipirAn, kOyil thiruvAimozhi, rAmAnusa nURRanthAdhi, upadhESa raththina mAlai and few other prabandhams/sthOthrams. A video of thiruvaradhanam would be helpful. Will try to provide soon.